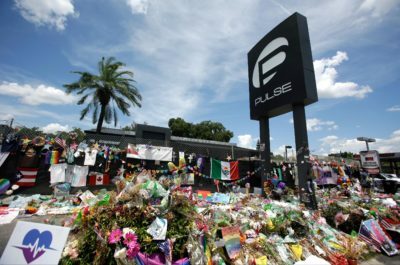 On June 12, 2016, 49 angels sought the joy, love and acceptance of Pulse Nightclub. Instead, they found hatred. And they never came home. They were gay. They were straight. Latin, black, white. Mothers. Brothers. Sisters. Daughters. Sons. Lost forever. And murdered because they simply chose to be themselves. In the aftermath of one of the deadliest mass shootings in modern American history, the local community came together to prove that love will overcome fear and hatred. Under this banner, the onePULSE Foundation was created to memorialize this tragedy; ensure that Pulse’s legacy of love, acceptance and hope will never be lost; and create a sanctuary of hope following that tragic day to honor the 49 people that were taken, the 68 others who were injured and the countless first responders and healthcare professionals who treated them. To this end, the Foundation will support the design, construction, maintenance and operation of a memorial and museum; community grants to care for the victims’ families and survivors; educational programs to promote amity among all segments of society; and endowed scholarships to honor each of the 49.